Here's a look inside my toiletries bag for 2 weeks of camping and life on the road. I know a lot of girls don't like camping, and I bet this has a lot to do with it. 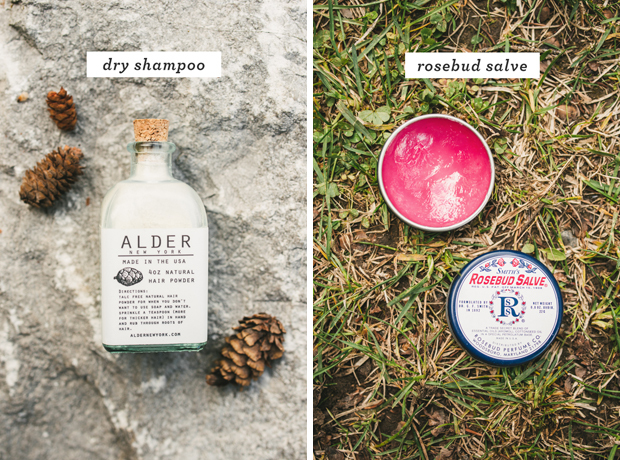 These little luxuries help me feel clean and comfortable and it's worth putting a little time into packing the right stuff. 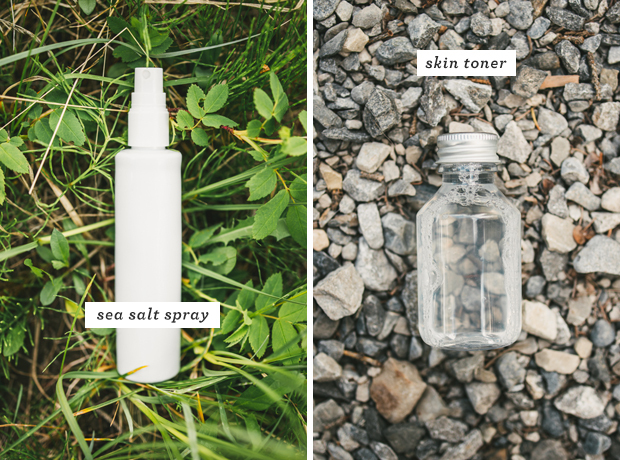 I try to put products into smaller repurposed containers if I can, usually from beauty samples I have used up (the face lotion, the toner, and I now have a smaller spray bottle for the sea salt spray that's pictured). Thanks Abby! I can't believe I just discovered sea salt spray a few years ago. It's perfect for lazy girl hair! From the girl that got bit by a mosquito just outside Paris (not camping!) and it stayed pretty nasty and ended up scarring, I recommend small tubs filled with benadryl's camphor anti-itch cream and bacitracin. You may be able to get small doses of the bacitracin in a first aid kit, if you have one of those as well. Haha, that sounds like one crazy mosquito bite! Thanks for the tip. We like to put Tiger Balm on mosquito bites (another product with many uses). Tiger balm is THE BEST. Gosh, I just feel like it heals everything. Also, this post-- what a great idea! I love to camp, but I know a lot of my girlfriends are a bit intimidated by the whole thing. Oh thanks for this! Super helpful. I never know what to pack, specially for camping trips. 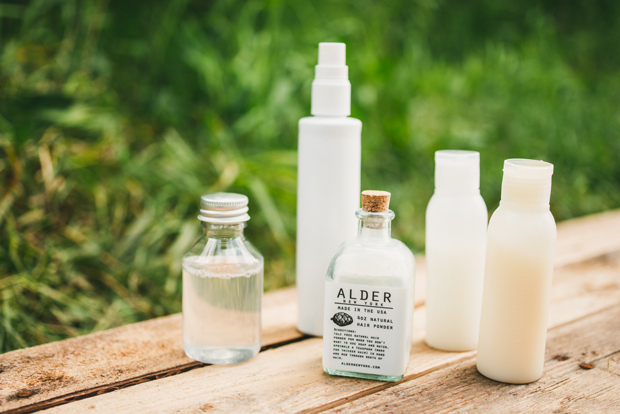 what brand of sea salt spray do you like? Nice! I take dry shampoo everywhere with me. It's the best! My favorite is DryBar. These are pretty much my essentials for traveling in general. If I'm on vacation I simply add cream blush, light concealer, and a tinted balm. Okay this actually helps so much. I never know how to bring the things I want to bring in order to feel clean and fresh and ready for hiking and such so this helps so much. Thanks for this post! I Guess what you bring also really depends on what kind of camping you are doing. I love going camping but I have never been backpacking. This summer my boyfriend and I went to a camping ground on the Baltic Sea (We live in Germany) which is basically like car camping. You park, pitch your tent, and stay for how many days you want to. Many families come for a week or so and there are power outlets even. They have showers and bathrooms on the premises (of course grimy, but that is what camping is all about! It wouldn't be camping without at least once accidentally dropping your underwear in the muddy shower water -_-). 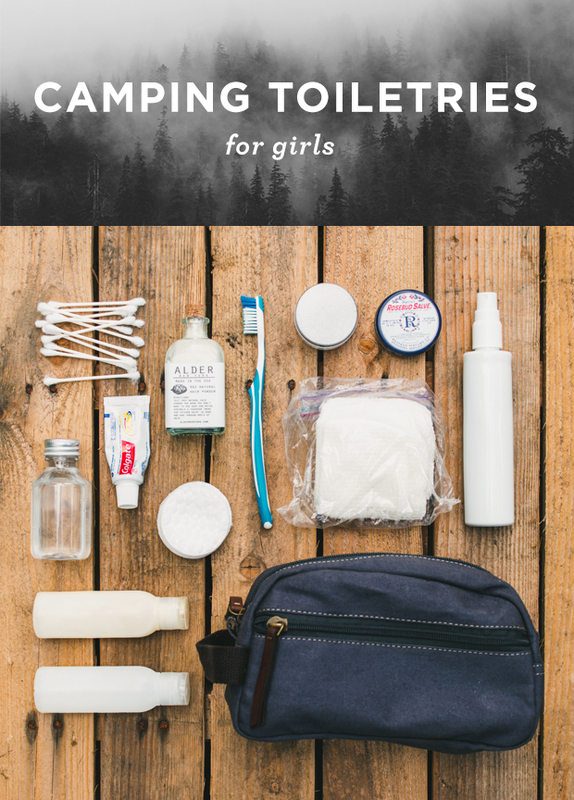 Because of that, I could afford to bring more toiletries with me, but I am sure if I were to go backpacking, I would bring just about as much on this list and some minor makeup as well.